eBay To Acquire Payment Processor Braintree For $800 Million : The Two-Way The auction site, which owns PayPal, aims to expand its already dominant reach in online and mobile payments. 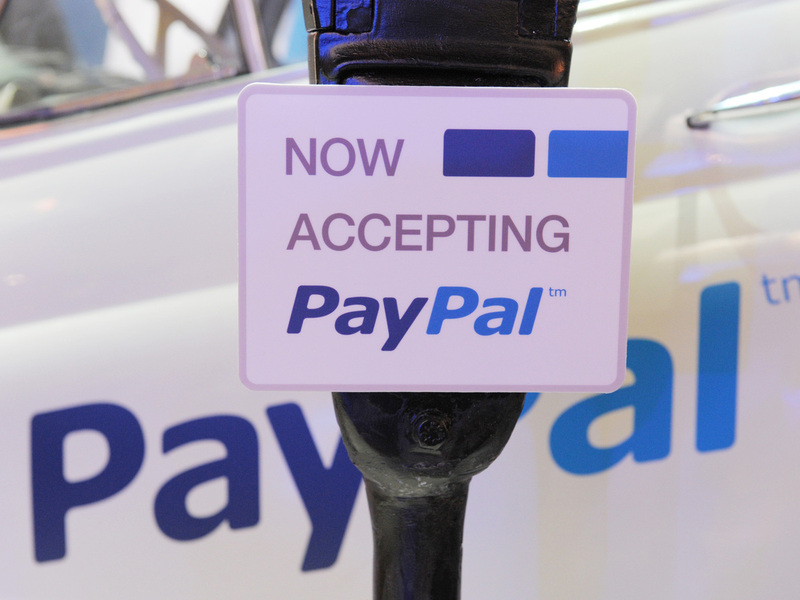 An illustration of online payment service PayPal at LeWeb Paris 2012 in Saint-Denis, France. Auction site eBay, which owns PayPal, is buying the online and mobile payment company Braintree for $800 million — an acquisition that eBay's CEO calls "a perfect fit." The deal, announced Thursday, could help eBay as it tries to convince customers to ditch their credit and debit cards and use PayPal instead. "Braintree is a perfect fit with PayPal," eBay Inc. President and CEO John Donahoe said in a statement. Braintree CEO Bill Ready and his team "add complementary talent and technology that we believe will help accelerate PayPal's global leadership in mobile payments," Donahoe said. "The start-up has focused on integrating its payment platform with fast-growing start-ups and the mobile apps that power much of their business, Sakhrani explained. "Second, Briantree's Venmo [mobile payments] business has gained a lot of traction with younger users, a demographic that PayPal may have been struggling to reach, according to the KBW analyst. "Third, Braintree has superior application programming interfaces, or APIs, which control how different software interacts with each other. This is important for attracting software developers to a platform. While PayPal has been trying to improve its APIs, it probably made sense to buy Braintree and quickly adopt its APIs, Sakhrani said."